Keeping parents involved will help a child through school and with the woodies stamp featuring 'complete and return' wording, you can make sure there work is bring checked at home as well as in the classroom. 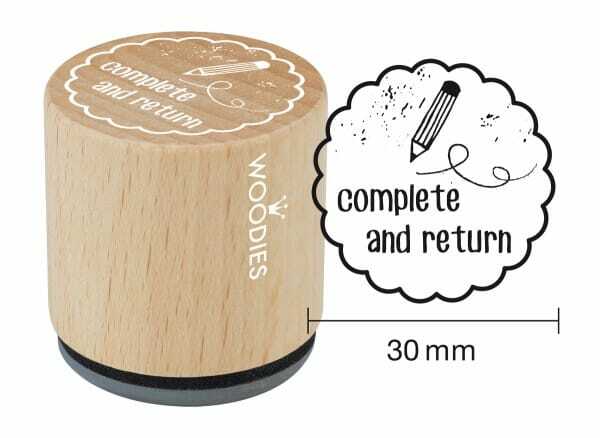 The dainty 30mm stamp is made from durable beech wood and 100% natural rubber, so it will last over time. Small and lightweight, the stamp will sit unassumingly on the desk ready to be used anytime. Customer evaluation for "Woodies stamp complete and return"